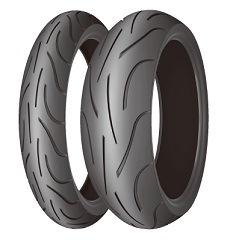 DOT-Rated Bias Ply Motorcycle Tire for Motocross Practice, Leisure and Enduro Designed for 90% Off-Road, 10% Road Use. 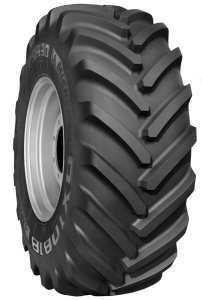 Agricultural Standard Profile R-1W Deep Lug Radial Rear Tractor Drive tire for All-around Service. 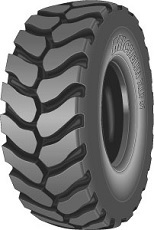 Agricultural Reduced Width R1-W Radial for Specialty Applications. 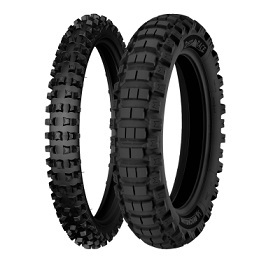 Bias Dual-Sport Motorcycle Tire for 90% Road 10% Trail Applications. 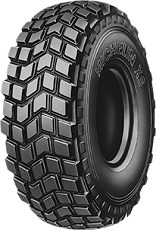 Material Handling tire Designed for Use in Backhoe and Telescopic Handler Applications and Used Primarily on Hard Surfaces. 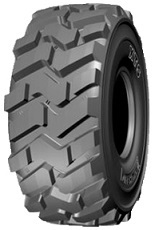 Agricultural All-Terrain tire Designed for Skid Steer and Backhoe Loaders. 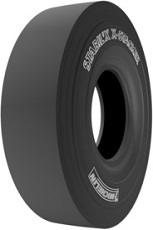 Skid Steer tire for Use on Hard, Abrasive Ground. 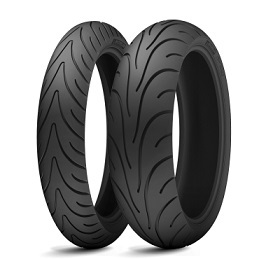 Bias tire for 50-150cc Sport Scooters. 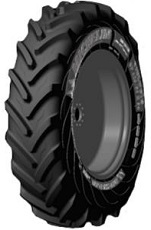 Low Pressure Radial Tire for Turf Applications: Trailers, Spreaders, Tankers and Harvesters. 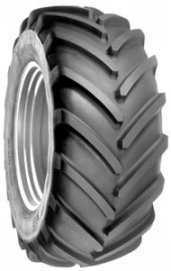 Agriculture Farm Low Pressure Trailer tire. 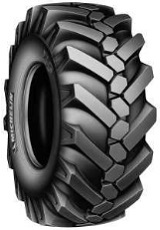 Agricultural Very High Flexion (VF) and Increased Flexion (IF) tire Suitable for Large Combines and Grain Carts. 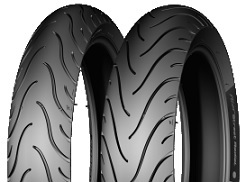 Bias Ply Tire for 125cc and Bigger Engined Scooters, Including Big-Wheeled Models. 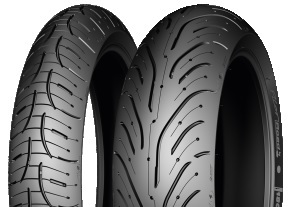 Radial Cruiser Motorcycle tire Setting A New Standard in Longevity. 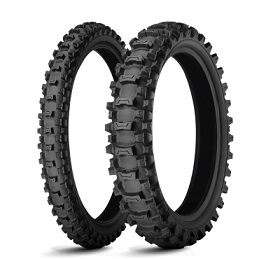 Off-Road Motorcycle tire for all Rally-Raid Competitors. 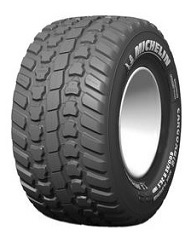 Winner of an unparalleled 29 Dakar Rally Races since 1982. Original Equipment All-Season Passenger Car / Minivan tire. All-Season Eco-Friendly Fuel-efficient Light Truck tire Ideally Suited to Drivers looking to Maximize Fuel Efficiency without Compromising Performance. 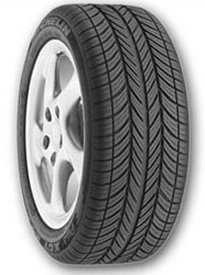 Fuel Efficient Passenger Car tire. Energy Efficient All-Season Passenger Car tire. Winter High-Performance Passenger Crossover/SUV tire. High-Performance Winter Passenger SUV/CUV tire. Ultra-High Performance Passenger SUV/Crossover tire. 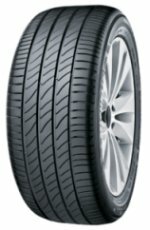 Delivers Sport Performance Handling and is Original Equipment on High Performance SUVs and Crossovers such as the Audi Q7 and Porsche Cayenne. Highway All-Season Passenger Light Truck/SUV tire also Suitable for Commercial Light Truck/Van Applications. 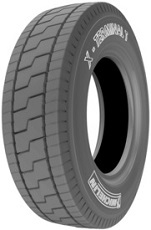 High Flotation R1+ Radial for High-horsepower Tractors. 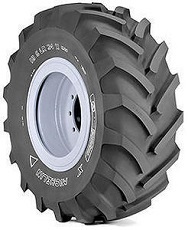 Wider, More Efficient Medium and High Horsepower Multi-Purpose Tractor tire. 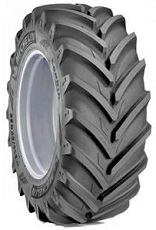 70 Series Radial tire Designed for Medium- to High-Horsepower Tractors and Equipment. 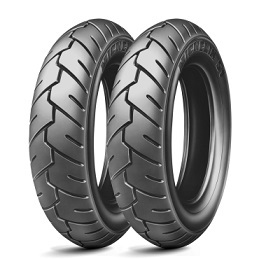 Radial Sport Touring Motorcycle tire for 250cc's and Over. 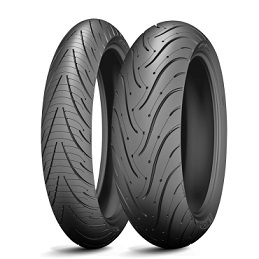 Bias Sport Touring Motorcycle tire for Mid-Sized Bikes Offering an Outstanding Combination of Performance and Durability at Very Attractive Price. 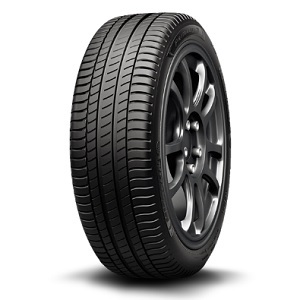 Winter High-Performance Passenger Car tire. Designed for OE Fitments like the Audi A4. 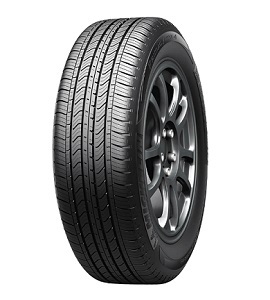 Winter High-Performance Sport Passenger Car tire. 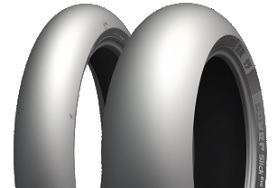 Designed for OE Fitments like the Porsche 911. 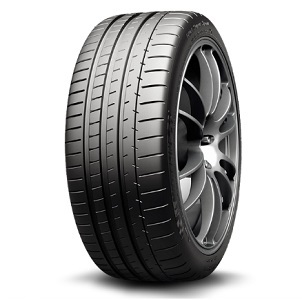 Summer Ultra-High Performance Sport Passenger Car with Fitments for Classic Porsches. 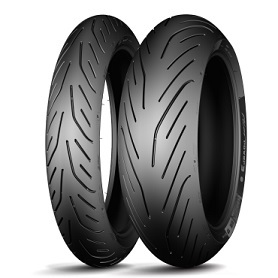 Ultra High-Performance Radial Street Motorcycle tire Designed for High-Performance Sport Bikes At a Budget Price. 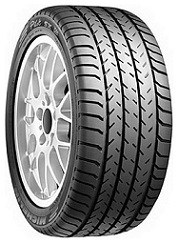 Suitable for Street or Track Use. 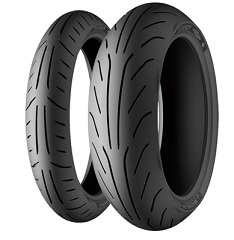 Motorcycle tire featuring Michelin's Dual-Compound Technology to Enable Riders to lean at Angles of up to 51.2 degrees. Suitable for Street or Track Use. 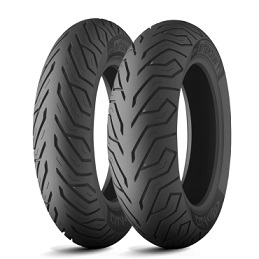 All-New Dual-Compound Sports Street Motorcycle tire. 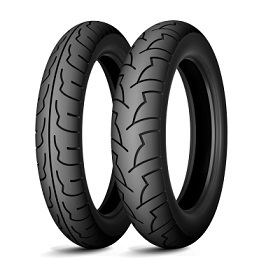 Dual Compound Sport Touring Motorcycle tire. 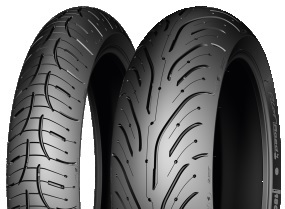 Sport Touring Radial Motorcycle tire. 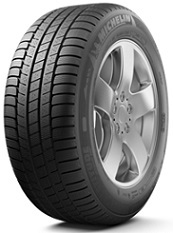 Ultra-High Performance Sport Summer tire. 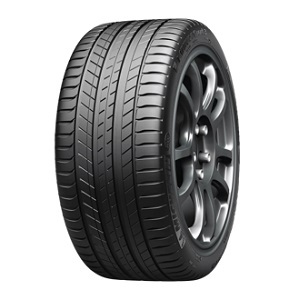 Tuned to be Original Equipment on Vehicles Such as the Mercedes E63 AMG and Audi A5. 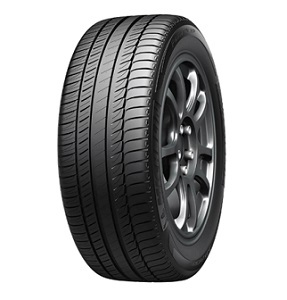 Summer Ultra-High Performance Passenger Car Sport tire. 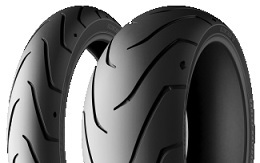 High-Performance Semi-Slick Motorcycle tire Designed for Large 'Ultra" Scooters such as the Peugeot Satelis and the Suzuki Burgman. All Season High-Performance Passenger Car tire. 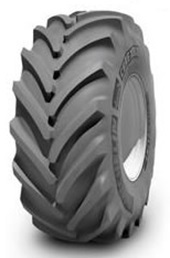 Agricultural Compact line Cross Ply tire for Backhoe Loaders, Loaders and Telehandlers. DOT Approved, Street Legal Motorcycle tire for 95% Track Use. 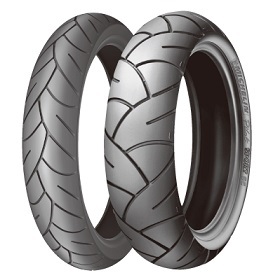 Motorcycle Sportbike Street and Track tire Featuring Michelin's Light Tire Technology (LTT). 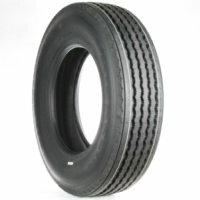 The Worlds First Dual-Compound Bias Ply Scooter Tire. 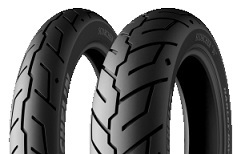 Sport-Touring Radial Motorcycle Tire Technology Designed for Maxi-Scooters. 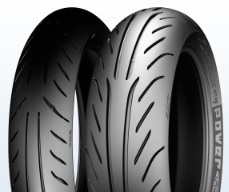 NHS Radial Motorcycle Track Tire for Rainy Days. 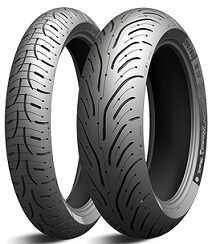 NHS Slick Motorcycle Race Tire Exclusively for Track Use. 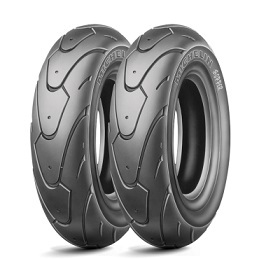 All New Dual-Compound Track Day Tire. 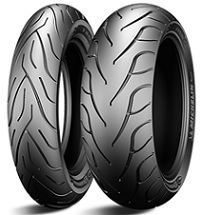 Radial NHS Motorcycle Tire for Race Track Applications. 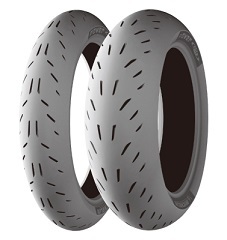 Radial DOT Approved Motorcycle Tire Designed for 50% Track Use. 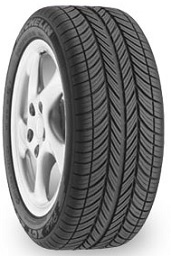 Summer Passenger Car Touring tire. Original Equipment on Luxury Touring Vehicles like BMW 5 & 7 Series, Mercedes S-Class and Audi A6. Primacy 3 ST Passenger Car tyres with MICHELIN Total Performance offer a Silent, more Comfortable and Safer Driving Experience with no Compromising on Longevity. 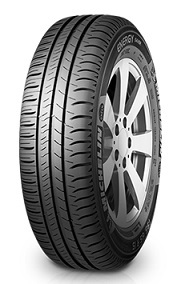 Winter Traction High-Performance Passenger Car tire for Luxury Touring Vehicles. New Reference in High Performance, a tyre which Absorbs Driving Noise and Reduces your Fuel Bill. 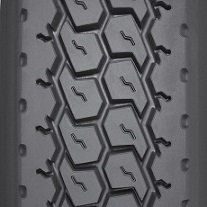 A True All-Season, All-Terrain Scooter tire for On- and Off-Road Applications. Bias Ply tire for 50-200cc Urban Scooters. 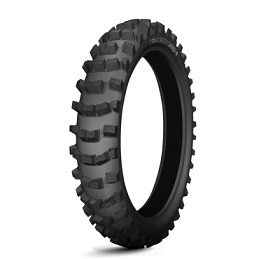 Versatile Off-Road Motorcycle tire which Excels in a Wide Variety of Conditions from Soft Mud to Loose Dirt. Bias Ply tire for 350-200cc Retro Scooters. Motorcycle tire Chosen by Harley-Davidson as Original Equipment for its V-Rod and Sportster SuperLow Motorcycles. 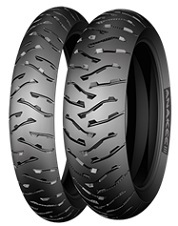 Motorcycle tire Chosen by Harley-Davidson as Original Equipment for a Number of their Motorcycles. 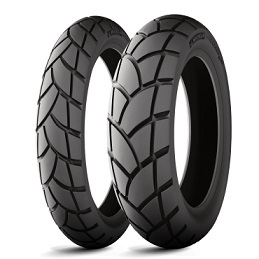 Bias Ply Motorcycle tire Designed and Engineered Specifically for the Iconic Harley Davidson Fat Bob. 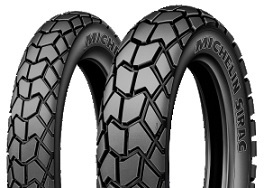 Street/Trial Motorcycle tire for Mid-Sized Trail Bikes. 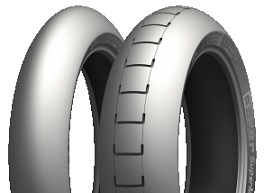 An Environmentally Friendly, Stress Resistant tire for Industrial Applications. 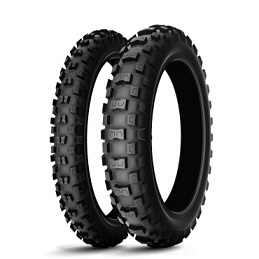 High Performance Motocross tire Designed for Hard Terrain. 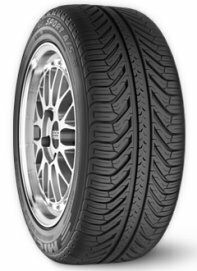 Also Available in Sand, Soft, and Medium. 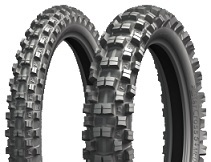 High Performance Motocross tire Designed for Medium Terrain. Also Available in Sand, Soft and Hard. 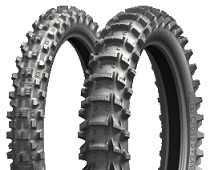 High Performance Motocross Tire Designed for Soft Terrain. Also Available in Sand, Medium and Hard. 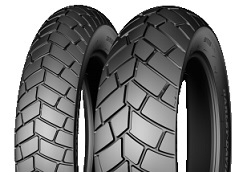 Bias Ply, Off-Road Motorcycle Tire for Hard Pack/Blue Groove Terrain. 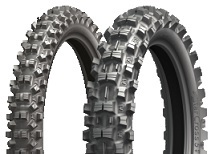 Bias Ply Off-Road Tire Developed for Hard to Intermediate Tracks, Starcross® MH3 Tires Helped Win Six MX2 World Championships. 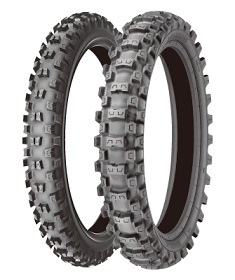 Starcross MS2 Junior Motocross Dirt tire. 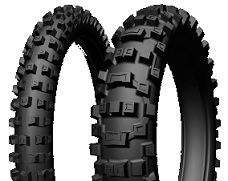 Bias Ply Motocross Motorcycle Tires for Soft to Intermediate Terrain. 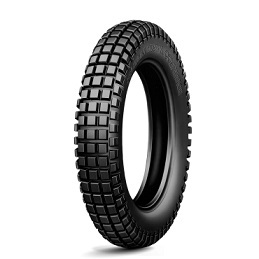 Rear Off-Road Motorcycle Tire with Remarkable Forward Drive on Sand Tracks. 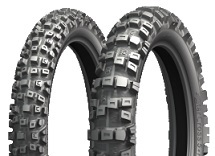 Recommended for use with MICHELIN® S12 XC™ or Starcross® MS3 Front Tires. 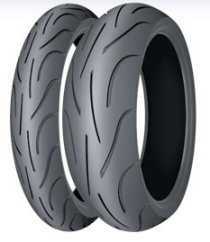 X11 Motorcycle Radial Rear tire. 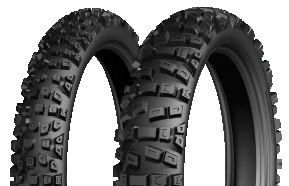 Not legal for Highway Use. 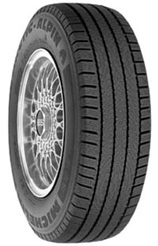 Classic Tire Range. 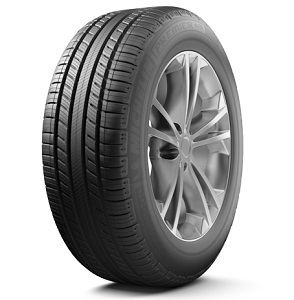 Low Profile Passenger Car tire. 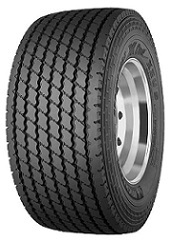 Commercial Truck/Bus. 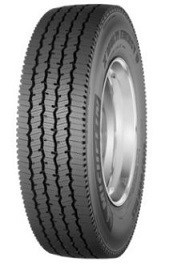 Medium-Duty Truck All-Position tire Designed for Line Haul and Regional Bus Applications. 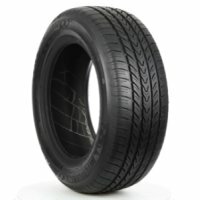 Commercial Truck/Bus. 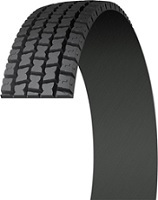 SmartWay® Verified Medium-Duty Truck Energy Drive tire for Line Haul Applications. 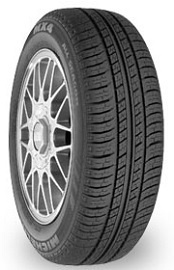 OTR/Construction C-1 Smooth Radial tire Designed for Compactors used in Road Construction. Commercial Truck/Bus. 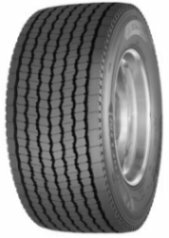 SmartWay® Verified Medium-Duty Truck Drive tire Designed for Optimized Traction and Treadlife in Regional and Super Regional Applications. Commercial Truck/Bus. 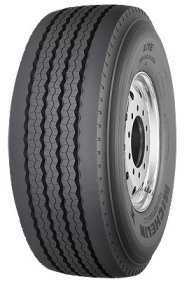 SmartWay Verified Medium-Duty Truck tire for Steer / All-Position in Regional and Line Haul Applications. 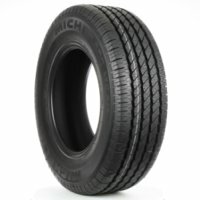 Commercial Truck/Bus. 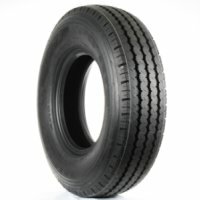 Medium-Duty Truck Trailer Position tire for Regional Applications. 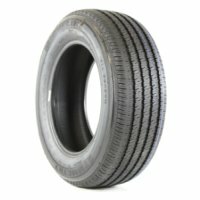 Commercial Truck/Bus. Medium-Duty Truck All-Position tire for Regional and Coach Applications. Commercial Truck/Bus. 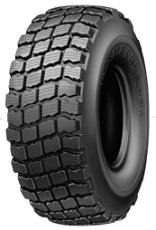 All-Season Medium-Duty Truck Drive tire for Regional and Line-Haul Applications. 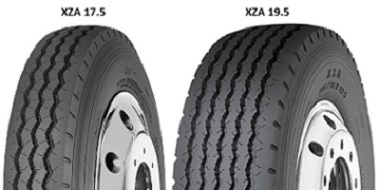 Commercial Truck/Bus. 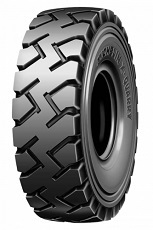 Smartway® Verified Wide Base Single Medium-Duty Truck Drive tire for Line Haul applications. 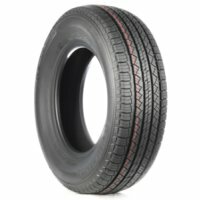 Commercial Truck/Bus. 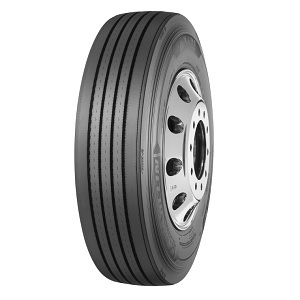 Medium-Duty Truck Wide Base Single Trailer Position tire for Line Haul Applications. 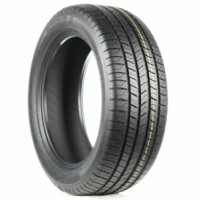 Commercial Truck/Bus. 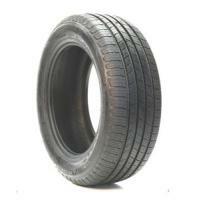 Medium-Duty Truck Fuel Efficient Wide Base Drive tire for Long Haul Service. 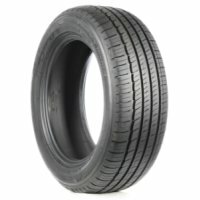 Commercial Truck/Bus. 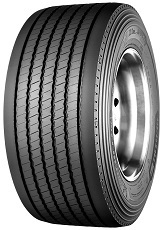 Medium-Duty Truck Ultra Low Profile, Wide Base tire Designed to Replace Duals in Urban Bus Applications. Commercial Truck/Bus. Ultra-Low Profile Wide Base tire Designed to Replace Duals in Recreational Vehicle Applications. 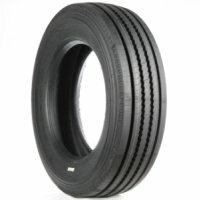 Commercial Truck/Bus. 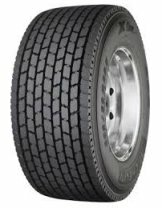 SmartWay Verified Medium-Duty Truck Wide Base Trailer Position tire Engineered to Replace Duals on Long Haul Trailer Axle Fitments. 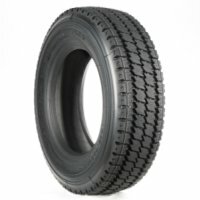 Commercial Truck/Bus. 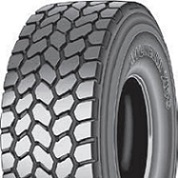 Medium-Duty Truck Wide Base tire for Trailer Axle Position in Regional and Line Haul Applications. OTR Earthmover E-4 Radial tire for Articulated Dump Trucks in a Variety of Demanding Applications. 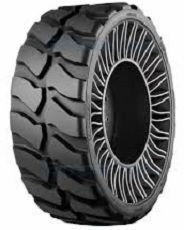 Airless Radial Tire™ & Wheel Assembly Designed for Use on Skid Steer Loaders. Available in Two Models: All Terrain for Use on a Wide Range of Surfaces, and Hard Surface for Maximum Tread Life on Pavement. 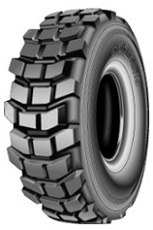 OTR Earthmover Low Sidewall tire for Articulated Dump Trucks on Yielding Surfaces. 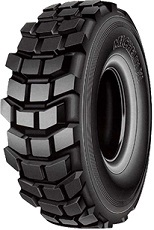 OTR/Construction Earthmover E-3 Radial tire for Articulated Dump Trucks. 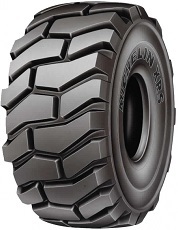 OTR Earthmover Extra Deep Tread E-4 Radial tire for Articulated trucks in Solid Waste and Quarry Applications. 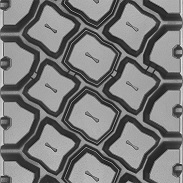 Commercial Truck/Bus. Medium-Duty Truck All-Position Highway Rib tire that Helps Deliver High Mileage and Excellent Fuel economy in Commercial Applications. 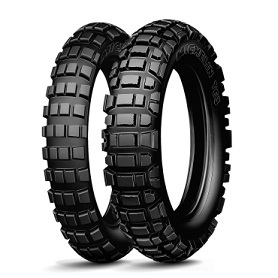 OTR/Construction Radial Earthmoving tire Suitable for High-Speed Mobile Cranes in Demanding On and Off-Road Applications. 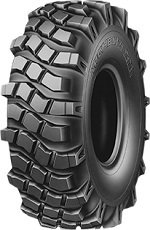 OTR Earthmover tire Providing Greater Productivity for On-Off Road Mobile Cranes. 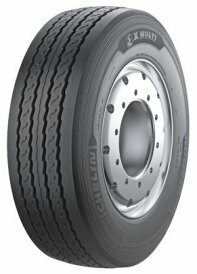 Commercial Truck/Bus. 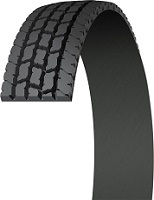 Medium-Duty Truck Drive Position Retread Designed for High Torque Conditions such as 4x2's in Line Haul and Regional Applications. 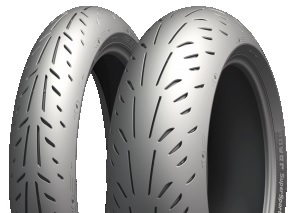 Also Available as a Custom Mold™ Retread. 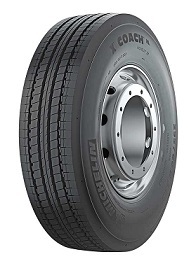 Commercial Truck/Bus. 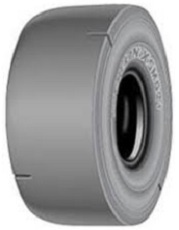 SmartWay® Verified Ultra-Low Profile Medium-Duty Truck Drive Axle tire Specially Designed for Line Haul Applications. DTO (Dual Tire Only) designated tires are only allowed to be sold for use in a Dual Fitment. 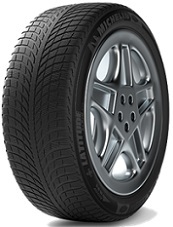 Commercial Truck/Bus. 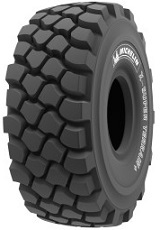 Medium-Duty Truck Drive tire For Line-Haul Applications. Commercial Truck/Bus. 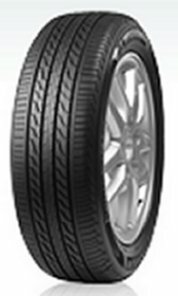 Medium-Duty Truck Drive tire Featuring Regenerating Tread Features that Deliver Excellent Traction late in life for Line Haul Applications. 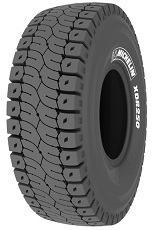 Radial OTR Earthmover E-3 tire for Haul Trucks Designed to Deliver Low Operating Costs in Applications Requiring a Unique Combination of Traction, Speed and Protection. Commercial Truck/Bus. 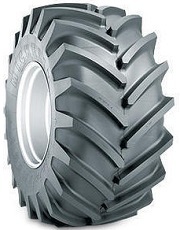 Medium-Duty Truck Open Shoulder Drive Axle Radial tire for Regional and Line Haul Applications. 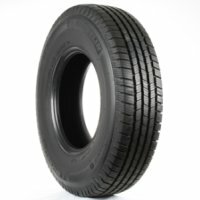 Commercial Truck/Bus. All Weather Medium-Duty Truck Premium Drive tire for Exceptional Traction and Mileage in Line Haul Applications. 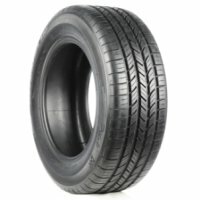 Commercial Truck/Bus. 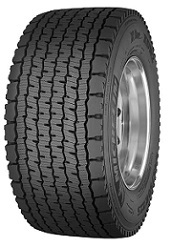 All-Season Medium-Duty Truck Premium Drive Directional Tread tire Optimized for Exceptional Traction and Mileage in Line Haul and Regional Applications. 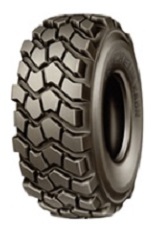 OTR Radial Earthmover E-4 tire for Haul Trucks for Use in the Most Severe Mine and Quarry Applications. 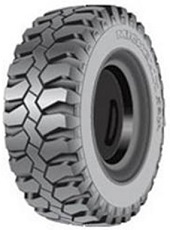 Radial OTR Earthmover E-4 tire Suitable for Rigid Dump Trucks in Mining Operations. 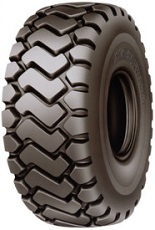 Radial OTR Earthmover E-4R tire for Large Dump Trucks Delivering Exceptional Longevity. Commercial Truck/Bus. 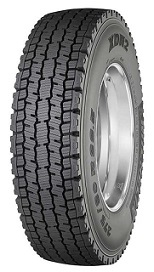 Medium-Duty Truck Drive Axle Radial tire for Deep Snow and Mud Traction. 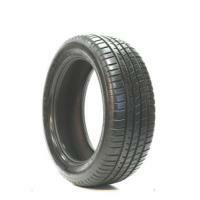 OTR Earthmover E-4 Radial tire Suitable for Rigid Dump Trucks in Severe Service Conditions Use. Commercial Truck/Bus. 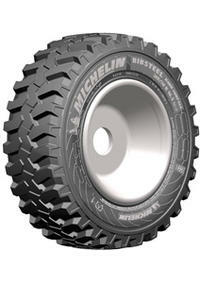 Medium-Duty Truck Drive tire Optimized for Exceptional Traction and Wear in Mixed and Severe On/Off Road Applications. Commercial Truck/Bus. 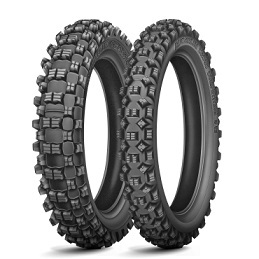 Medium-Duty Truck tire Pre-Mold Retread which Delivers Exceptional Durability and Traction in Demanding Off-Road Applications. Commercial Truck/Bus. 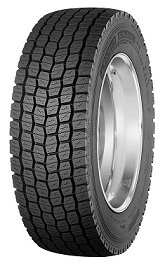 Medium-Duty Aggressive Drive Axle tire Designed for Commercial Vehicles Operating in Extreme Conditions where Maximum Traction is the priority in On/Off Road Applications. 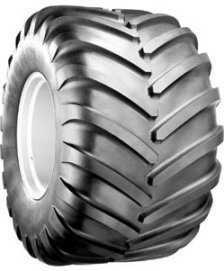 Agricultural Tractor VF (Very High Flexion) tire for Reduced Soil Compaction and Higher Yields. 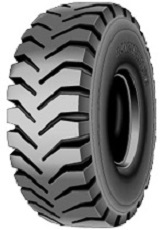 Agricultural Radial Skid Steer tires Suitable for Excavators, Telescopic Handlers and All-Terrain Forklifts. Commercial Truck/Bus. 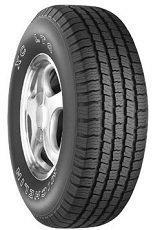 Wide Base Single Steer Medium-Duty Truck tire Designed to Deliver High Mileage and a Quiet Ride on Heavy Front-Axle in Regional and Long-Haul Applications. 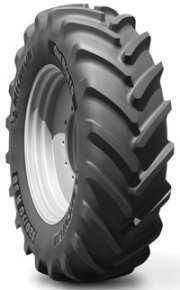 OTR/Construction L2/G2 Radial Loader /Grader tire. 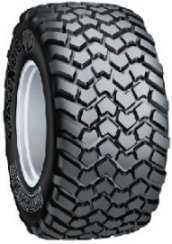 OTR/Construction E-4 Radial Earthmover Traction tire for Rigid Dump Trucks in Quarrying and Harsh Mining Conditions. 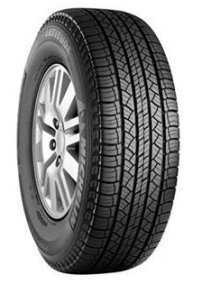 Winter Passenger Car & Minivan tire. Winter Passenger Car and Minivan tire. OTR Radial L-3 tire Designed to Deliver Maximum Protection in Severe Transport and Abrasive Underground Mining Conditions. OTR Earthmover E-4 Radial tire for Use on Haul Trucks in the Most Demanding Mine and Quarry Conditions. 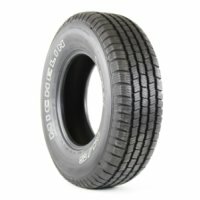 Directional L-4/L-5 Radial tire for Wheel Loaders. 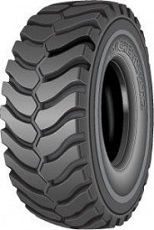 OTR/Construction L-3 Low Profile Radial tire for Small and Medium Loaders in Moderately Abrasive Conditions. 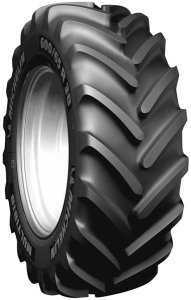 Agricultural Tractor tire Designed for Significantly Lower Ground Pressure. 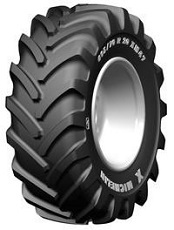 Agricultural R-1W Deep Tread Flotation Radial tire for Tractors and Combines. 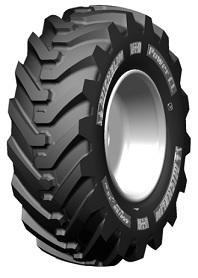 Multi-Purpose High Speed Radial tire for Tractors and Telescopic Handlers. 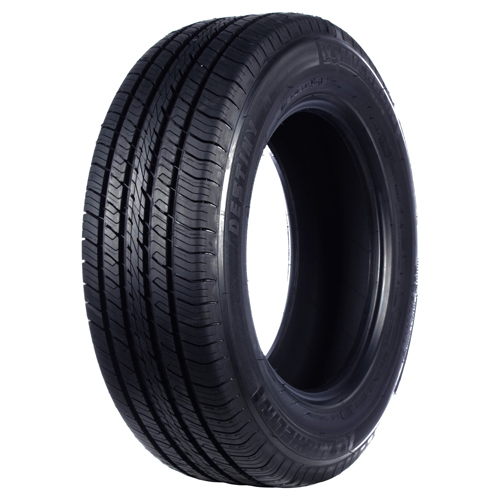 Earthmover E-2S Radial tire Suitable for Long Distance Transport at High Speeds. 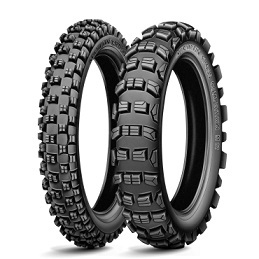 All-Terrain All-Position Radial tire with Exceptional Mobility and Grip on All Loose Surfaces including Mud, Snow and Sand. 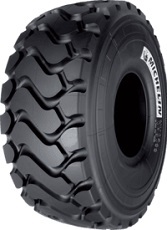 Earthmover Radial tire for Utility Transport and Logging Operations Designed for High Speed Applications. Earthmover E-3 Radial tire for Large Scrapers. 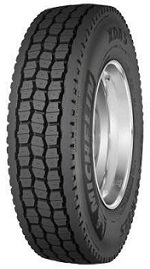 On/Off Road Retreadable Commercial Light Truck tire. 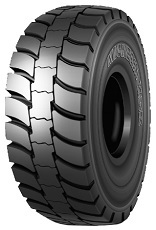 OTR/Construction Earthmoving tire for Optimized Productivity for Rigid Dump Trucks in All Cycles and in Total Safety During Quarry Work. 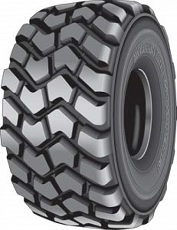 OTR Earthmover Non-Directional E-4R tire for High Powered Scrapers for Use in Harsh Working Conditions. 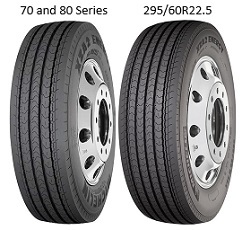 Commercial Truck/Bus. 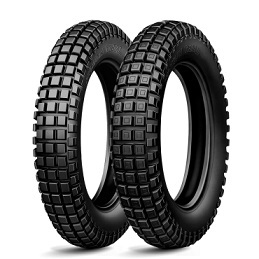 Medium-Duty Truck All-Position Radial tire for Special Service such as Emergency Response Vehicles in On/Off Road Applications Including Soft Soil. 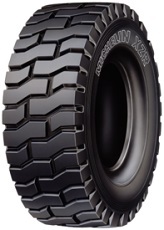 OTR Earthmover L-5S Super-Deep Smooth tire for Wheel Loaders and Haulers Working in Severe Mining, Quarry and Waste-Handling Conditions. 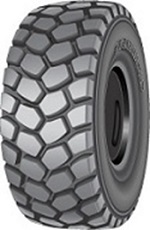 Earthmover tire for Reach Stackers and Container Handlers for Short Distance Applications to Improve Tire Life. Earthmover tire Specifically for Straddle Carriers. 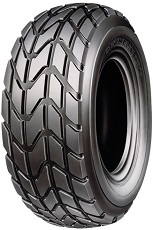 Radial Industrial / Earthmover E-3 tire for Straddle Carriers Designed to Deliver Even Treadwear and Low Operating Costs in Demanding Port and Terminal Conditions. Earthmover tire for Articulated Dump Trucks. Commercial Truck/Bus. 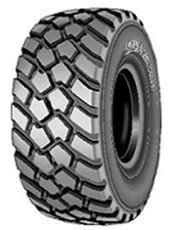 Medium-Duty Truck Small Diameter Trailer Position tire that Delivers Long, Even Tread Wear in High Cube Line Haul Applications. Commercial Truck/Bus. 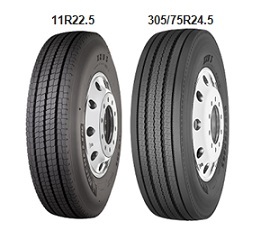 Medium-Duty Truck High Mileage Trailer Position Wide Base tire Specifically for High Cube Service in Line Haul Applications. 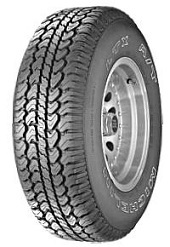 Commercial Truck/Bus. 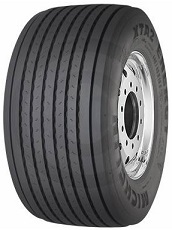 Medium-Duty Truck Radial Trailer Position tire Designed to Withstand the Demands of High Scrub and Spread Axle Service in Regional and Line Haul Applications. Commercial Truck/Bus. 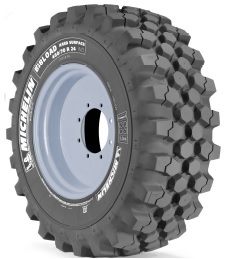 Medium-Duty Truck Small Diameter Trailer Position tire Designed to Withstand the Demands of High Scrub and Spread Axle Service on Low Platform and Specialty Trailers in Regional and Line Haul Applications. 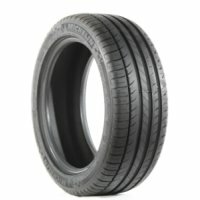 Commercial Truck/Bus. 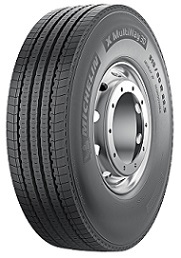 Medium-Duty Truck All-Wheel-Position Wide Base Radial tire Designed to deliver High Mileage and a Quiet Ride on Heavy Front Axle Applications. 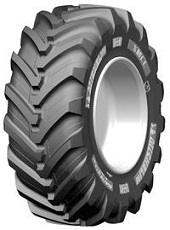 OTR/Construction Loader/Dozer L-2/G-2 Radial Traction tire Designed for Wide-Ranging Use on Yielding Terrain. 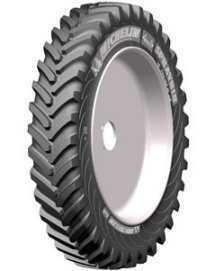 OTR Earthmover E-4/L-4 tire for Underground Mining Applications. OTR Earthmover E-2 Traction Radial tire Designed Especially for High-Speed Applications on Well-Maintained Site Roads and Highways. Commercial Truck/Bus. 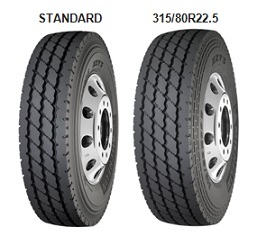 Medium-Duty Truck Fuel-Efficient All-Position Radial tire Designed for Long Life in Over the Road Steer Axle Service. 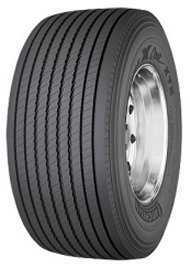 Commercial Truck/Bus. 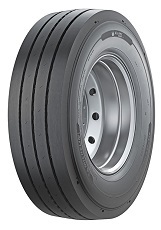 SmartWay Verified Medium-Duty Truck Radial Steer tire for Long Haul Applications. 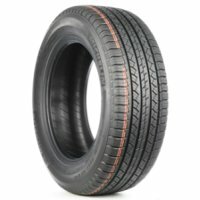 Commercial Truck/Bus. 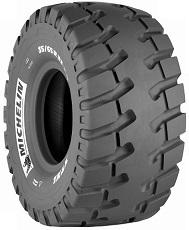 Medium-Duty Truck High Capacity Tubeless All-Position tire Designed for Heavy Axle Applications such as Mobile Cranes. Commercial Truck/Bus. 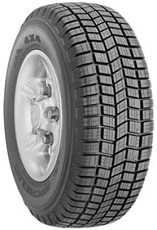 Medium-Duty Truck All-Position Radial tire Optimized for Steer Axles in Regional and Limited Line Haul Applications. Commercial Truck/Bus. 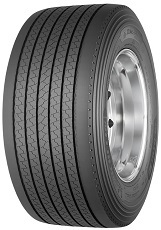 All-Position Radial Medium-Duty Truck tire Optimized for Steer Axles in Regional and Limited Highway Service. 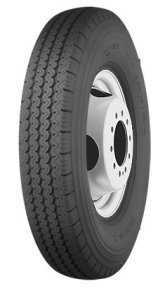 Commercial Truck/Bus. 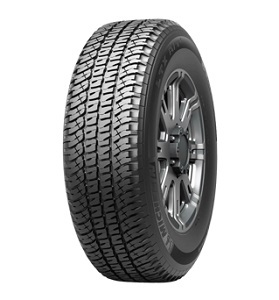 Medium-Duty Truck All-Position Wide Base Radial tire Designed for Optimized Traction in on/off Road Applications. 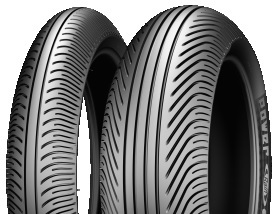 Radial tire for Airport Ground Support Equipment, Sweepers and Forklifts. 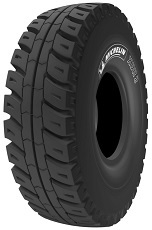 Construction Radial L-3 tire Especially Designed for Skid Steer Loaders and Suitable for Aggressive and Abrasive Ground. Commercial Truck/Bus. 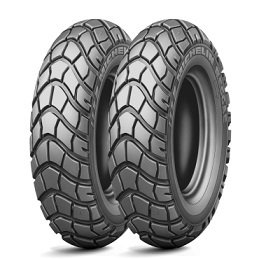 Medium-Duty Truck All-Position tire with High Carrying Capacity Designed for Exceptional Tread life in High Scrub Urban Applications such as Waste Vehicles. 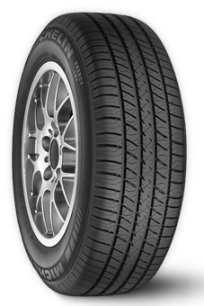 Commercial Truck/Bus. 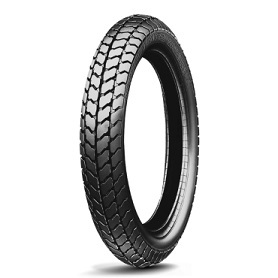 Medium-Duty Truck All-Position Radial tire Optimized for Urban Operations Involving Frequent Stopping and Starting, such as Transit Buses, Delivery Vehicles and Sanitation Trucks. 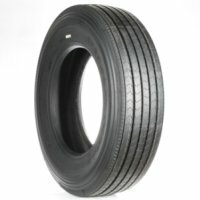 Commercial Truck/Bus. 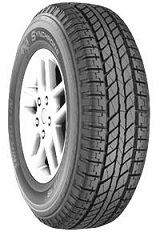 Medium-Duty Truck All-Position Radial tire for Operations Involving Frequent Stopping and Starting in Urban Applications. 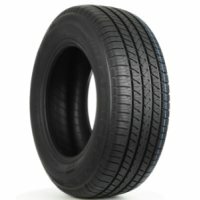 Commercial Truck/Bus. 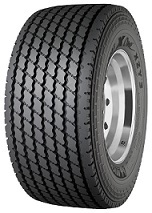 Medium-Duty Truck All-Position Wide Base Radial tire Designed for Heavy Front Axle Mixed Service in On/Off Road Applications.